It’s no exaggeration to say a big chunk of our lives are wrapped up in our portable devices. All our contacts, our photos, our schedule reminders, they’re all stored there. And if disaster strikes and that device is lost or destroyed or if hackers assault your personal data, you better have a backup plan. IDrive is the ultimate backup plan. 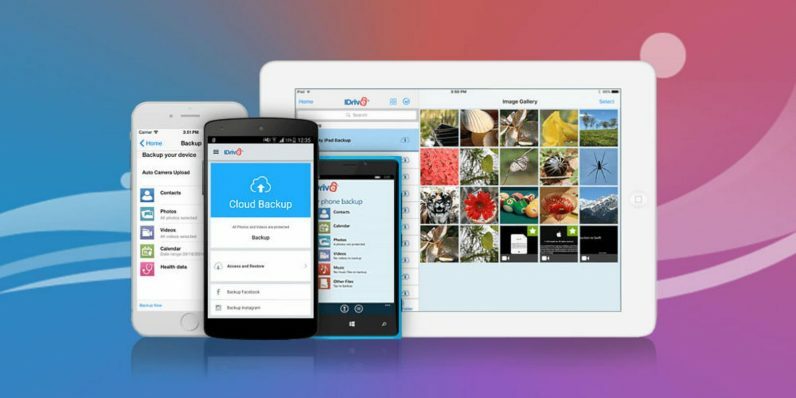 Backed with sterling credentials, including a hearty editor’s recommendation from PC Mag, this trusted name in secure storage is upping their game again with this special limited time offer: unlimited backup on five mobile devices for life for just $19.99. This is the first time ever that iDrive has promised this much coverage for five devices, regardless of size. Best of all, it’s simple. Just sync up your iOS or Android device to the account and iDrive backs up everything. All your videos, calendar events, text messages, literally every scrap of data on your phone or tablet is copied and stored. If something happens to your device, it’s all good — just connect a new one and load it up with any of that old data you need. There are no compatibility issues either since backups work seamlessly between any iOS or Android content. In addition to 256-bit AES encryption, you can also add an optional access password to provide another layer of protection, ensuring your data is locked up tight at all times. For $19.99, you can make sure all your device data is always safe, so grab this $49.99 value now at 60 percent off before this deal expires.